Rep2excel support command line interface, you can call it through dos prompt, you can also call it by HOST built-in in Oracle Forms. Click Start menu, click Run, input cmd and then click OK, start the dos prompt. Change current directory to the rep2excel installation directory. Please use rep2excel --help to get the usage . First, you should install rep2excel as CGI service. See here. Once rep2excel is installed, try your first conversion with rep2excel! Please fill the full location of an oracle report output file into File Path box, then click Submit button. The location of the file may be a URL, e.g. Call Rep2excel through HOST built-in in Oracle forms. Call rep2excel from oracle forms from web. You can call rep2excel from oracle forms using web.show_document built-in. 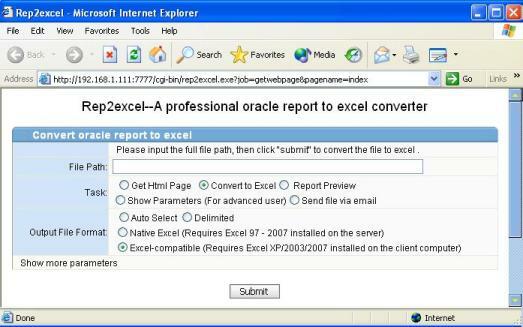 If you are now using web.show_document to open a HTML file generated by oracle report server, you can invoke rep2excel to get excel easily. The following sample code demonstrates how to change your code to work with rep2excel. Sample code of Forms/Reports 10gR2. v_url_to_access_rep2excel varchar2(200) ; -- The url that link to Rep2excel. 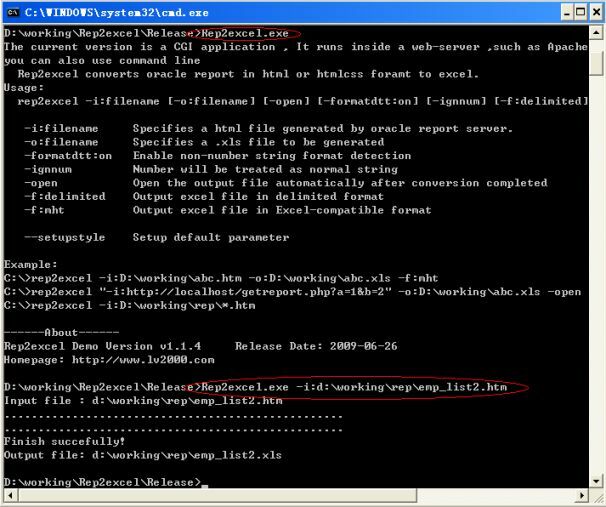 v_url_to_get_html_report varchar2(500) ; -- The url that is used to download report from the report server. 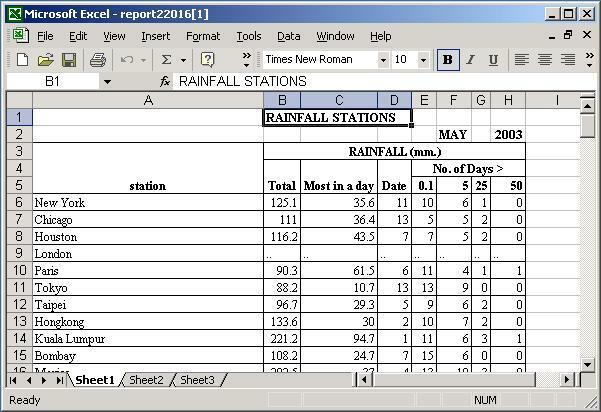 v_the_final_url varchar2(500) ; -- The url that call Rep2excel to download html report and convert to excel. SET_REPORT_OBJECT_PROPERTY(repid,REPORT_DESFORMAT,'HTML'); -- The Rep2excel support report in html or htmlcss format only. SET_REPORT_OBJECT_PROPERTY(repid,REPORT_SERVER,'REP_192_ORACLEAS2'); --To be changed according to your environment. substr(v_rep,instr(v_rep,'_',-1)+1)||'? '||'server=rep_192_oracleas2'; --To be changed according to your environment. v_the_final_url := v_url_to_access_rep2excel || '?filepath=' || v_url_to_get_html_report ; -- See how to pass parameter to Rep2excel. In an encoded string, blanks are changed into + and special characters are made by the % symbol, followed by the hexadecimal digits of the ASCII code. For example the character "-" is substituted by the string "%2d". Note: The URL encoding is optional, actually Rep2excel can detect the correct URL. var URL = "http://" + WEBHOST + colon + WEBPORT + "/dev60cgi/"
URL = URL + "desformat=HTML"
// please do not hesidate to contact support@lv2000.com .